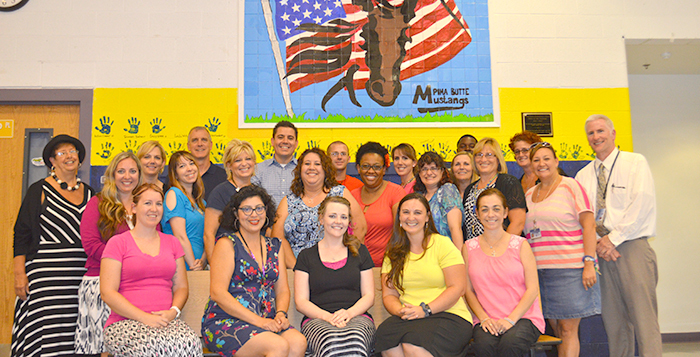 This year will mark the 10th year Pima Butte Elementary School has been educating the children of Maricopa. Pima Butte, which is Maricopa Unified School District’s sole A-rated school, has been achieving excellence in education for a decade. The school opened its doors on July 25, 2005, with 300 students. It has since grown to 501 students. This success came in spite of Pima Butte having one of the highest student-to-teacher ratios in the city. In many classrooms there are close to 30 students. Since Pima Butte is one of the smallest Maricopa schools as far as space is concerned, the high number of students already enrolled limits the number of new students that can attend the elementary school. Despite this, Pima Butte’s reputation and achievements keep it one of the most sought after schools for parents to enroll their students. on July 1, 2013. The founding principal for the school was Janelle Lowey. She no longer works in the Maricopa school district, but her contribution to the city is reflected in the achievements of Pima Butte. “Over the past 10 years, Pima Butte has been very successful for a number of reasons,” Lazar said. “One major reason is that Pima Butte has maintained a core group of teachers who are extremely dedicated to the school. We have nine teachers who have worked at Pima Butte for more than seven years. Five of the teachers have been at Pima Butte for nine or more years. To celebrate the last decade, Pima Butte will be hosting a “family picnic and celebration” at the Pima Butte café on Friday. Invited guests will be able to enjoy music and movies from 2005, and a complimentary dessert. 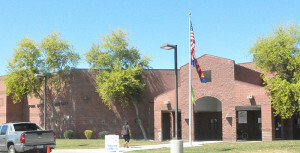 Pima Butte Elementary opened in 2005.